We hope you’ve been enjoying the recent posts with glimpses inside the new issue of Word Fountain, the Literary Magazine of the Osterhout Free Library. We’ll continue sharing bits from the issue all week, and soon all of those lovely pieces will come together for the online version of issue #11. 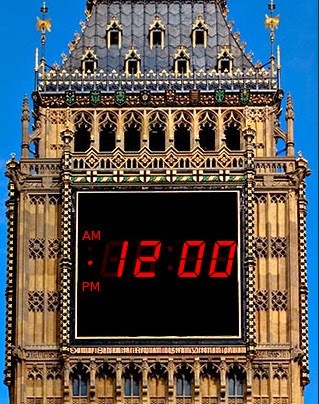 On April 1st, 1980, the BBC reported that Big Ben would go digital.